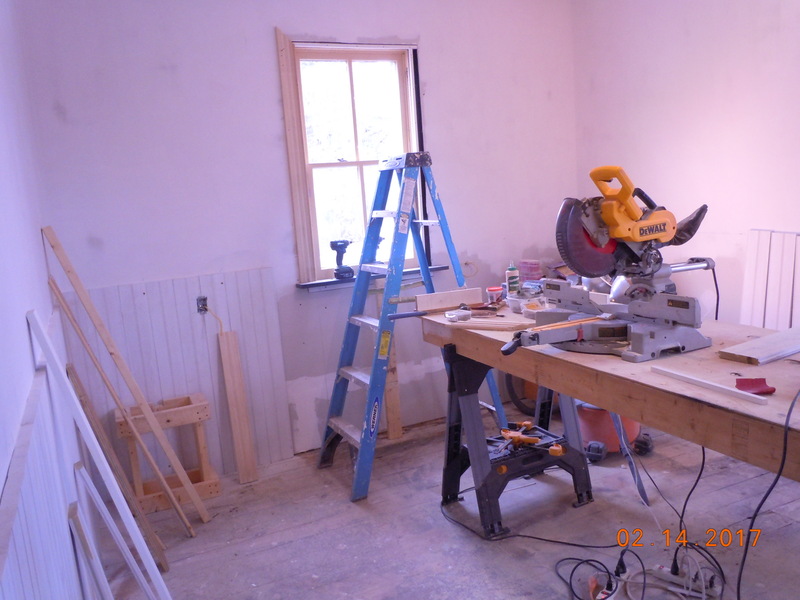 Thanks to a $380,000 donation from The Robert and Adele Schiff Family Foundation and $10,000 from the PECO Foundation, work has resumed on The John Updike Childhood Home restoration. 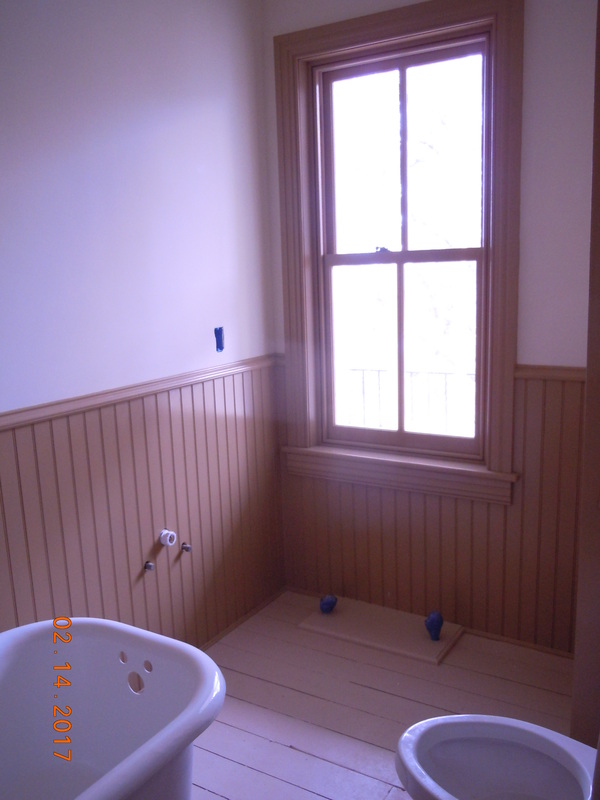 Bob Doerr and his crew are now able to finish up the two remaining rooms (kitchen and upstairs bathroom) and begin work on all three porches outside, as well as the reinstallation of decorative features that had been removed from the exterior. 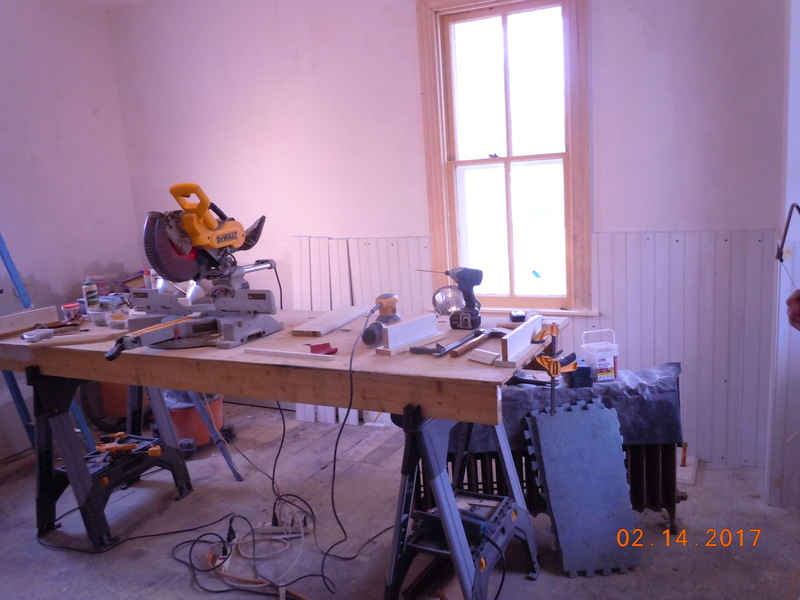 The John Updike Society still needs to raise $70,000 to cover all the costs of restoring the historic house, and will soon be starting a crowd funding campaign to reach out to people who might not already be aware of our important project. 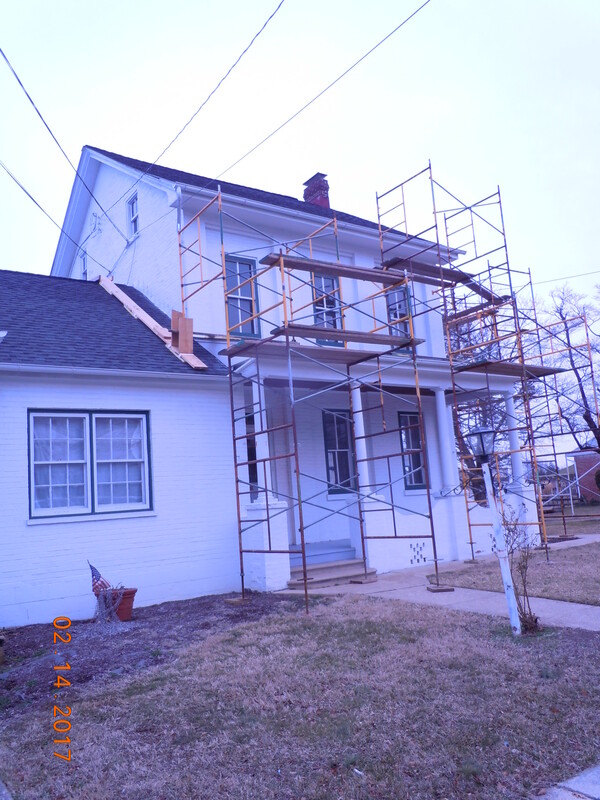 Tours of the house have stopped as of Feb. 14, 2017, but will resume after the restoration is complete. 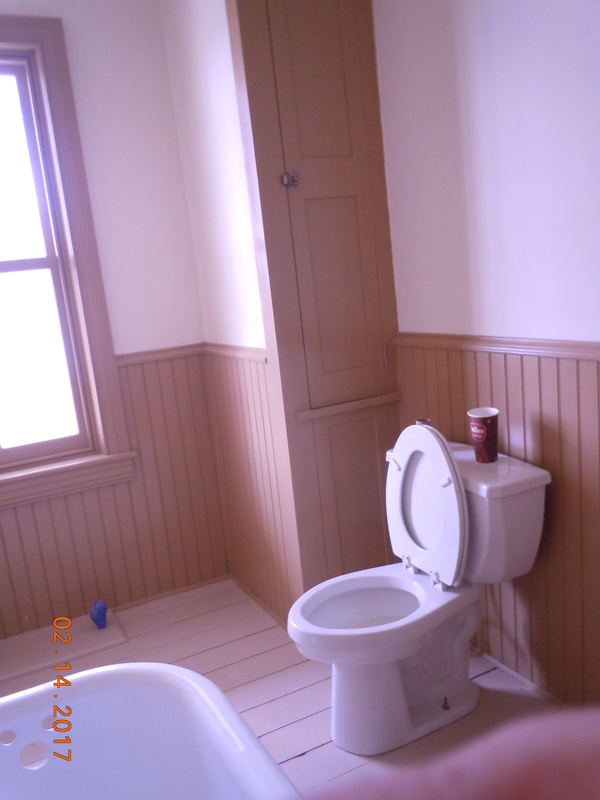 We apologize for any inconvenience, but those of you wanting to see where Updike lived as a child will be able to more fully enjoy the tour when everything is complete . . . and safe. 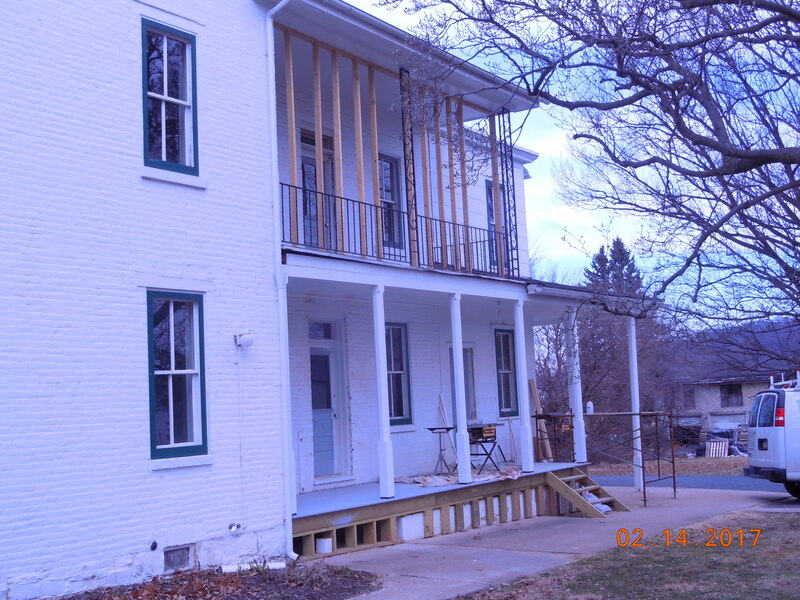 Note on the second photo that the side porch that was wooden during Updike’s time is being recreated—built over an existing massive concrete slab that would have posed a challenge to remove. Thanks to Dave Silcox for the photos.